Any eligible candidate, who aspires to join the Bank as Assistant Manager, is required to register for the Online Written Examination. Candidates who appear and are shortlisted in the examination, will subsequently be called for a Personal Interview and on being short-listed in Interview, will have to appear for Medical Fitness Test to be conducted and co- ordinated by DNS Bank. 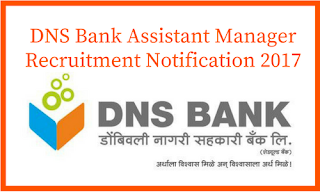 DNS Bank intends to fill 52 positions in Assistant Manager cadre at various locations pan Maharashtra, in phase manner. Prospective candidates will have to apply to DNS Bank after carefully reading the advertisement regarding the process of examination, interview, eligibility criteria, online registration process, payment of prescribed application fee, pattern of examination, issuance of call letters etc. and ensure that they fulfill the stipulated criteria and follow the prescribed processes. 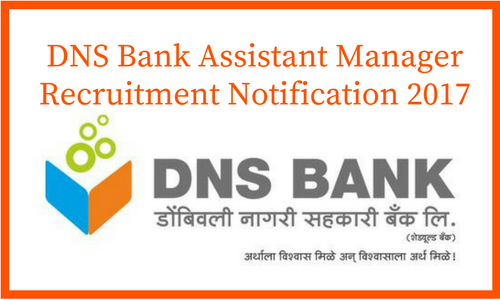 Candidates are advised to regularly keep in touch with the DNS Bank’s authorized website www.dnsbank.in for details and updates as regards recruitment process and its dates.